While the iPhone has made Apple the world's most valuable company, it has slipped to third place among phone makers. Apple is set to unveil new iPhones, aiming to gain fresh momentum in the premium segment of a global smartphone market showing signs of fatigue. In its usual secretive style, Apple has remained mum about revelations planned for Wednesday's event at its spaceship campus in Silicon Valley, but the timing fits its pattern of annually introducing new iPhone models. While the iPhone has made Apple the world's most valuable company worth more than $1 trillion, it has slipped to third place among smartphone makers as Chinese-based Huawei has grabbed the number two spot. Still, analysts say Apple has a formula that works with a loyal customer base and steady sales. "There is nothing in their product line-up that isn't working for them in the premium segment of the market, so there is no imperative for them to break that mold," NPD analyst Stephen Baker said of Apple likely sticking with modest improvements in new iPhones this year. "They gobble up most of the profits. I don't think they are under any pressure at all." Technalysis Research chief analyst Bob O'Donnell agreed that Apple is fine with holding its niche in the market. "Apple doesn't have to prove anything, other than that they are willing to segment the market more," he said while pointing out that the company will likely be "offering a wider array of choices." Apple's event comes with the global smartphone market largely saturated, without a major catalyst for sales ahead of a likely rollout of 5G, or fifth generation wireless networks, expected in 2019. Research firm IDC expects worldwide smartphone shipments to decline 0.7 per cent in 2018 to 1.455 billion units, with growth likely to resume as 5G devices become available. Apple has sold more than a billion iPhones since the first model was unveiled by late co-founder Steve Jobs in 2007. The company is in the unique situation of controlling the hardware and software in its mobile devices, with content for users required to go through its App Store that takes a percentage of revenue. 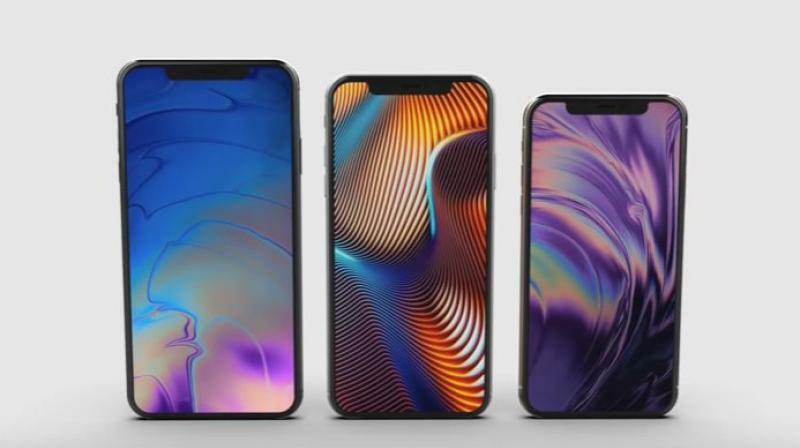 Leaks and rumours have it that Apple plans to unveil three new iPhone models, including an improved version of the flagship X model released a year ago with a $1,000 price tag. Apple is also expected to introduce a lower-priced iPhone with some X features but a less expensive LCD screen. "I think that in the long run, the watch will be a much larger business than people give it credit for; where Apple can iterate and grow," Baker said. "Clearly products on your body have a whole different business opportunity than products you carry around, like smartphones." Apple chief executive Tim Cook has touted fitness and health features of the company's smartwatch, which dominates that market. The culture-changing company behind the iPod, iPhone and iPad hit a historic milestone last month, becoming the first private-sector company to surpass $1 trillion in market value. The landmark was the latest victory for Tim Cook, who faced scepticism when he took over as chief executive in 2011 from Jobs just before his death. While Apple watchers wait for the company to wow the world with a surprise such as augmented reality glasses or an Apple car that drives itself, the company has ramped up the amount of money it makes selling online services and digital content to the vast sea of iPhone users.